Representative from New York; Jamaica Plains, Boston, Massachusetts, July 23, 1884; attended the public schools; was graduated from Harvard University in 1907 and from its law school in 1910; was an employee of the United States Treasury Department in 1910 and 1911. He moved to Old Westbury, New York, in 1911 and engaged in the banking business in New York City 1911-1922; delegate to several State conventions; delegate to the Republican National Convention at Chicago in 1920. Bacon attended the business men’s training camp at Plattsburg in 1915; served on the Texas border with the New York National Guard in 1916; during the First World War served with the United States military forces from April 24, 1917, to January 2, 1919, attaining the rank of major; awarded the Distinguished Service Medal; commissioned in the United States Officers’ Reserve Corps with the rank of lieutenant colonel in 1919; promoted to colonel in January 1923 and served until his death. He was elected as a Republican to the Sixty-eighth and to the seven succeeding Congresses and served from March 4, 1923, until his death at Lake Success, Long Island, New York, en route from a visit to New York City, September 12, 1938; interment in Arlington National Cemetery, Arlington, Virginia. 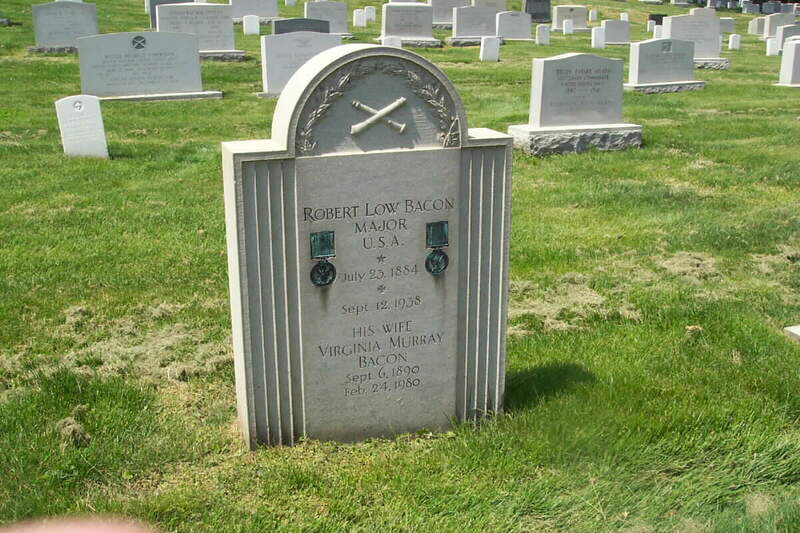 Once there was a very rich man called Colonel Robert Bacon, who lived in a palace in Old Westbury, New York, with his wife, Martha, and their four children and, later, a flock of grandchildren, whom they adored. The Colonel died in 1919 after contracting an illness in France during World War I, and his wife built the Children's Library as a memorial to him. He was born in Massachusetts in 1860, descended from Nathaniel Bacon, who came from England in 1639. He went to Harvard, where he had a classmate named Theodore Roosevelt, who lived in Oyster Bay. Bacon became a partner in the banking firm of J.P. Morgan, which brought him to New York in 1894. He helped establish U.S. Steel, which grew and grew. The Bacons built a brick, Italian-style summer home on a huge estate called Old Acres. Westbury had been a Quaker community of isolated farms until the railroad came in 1836, and millionaires from New York City soon discovered the rich, flat countryside as a place to raise horses and play polo. Bacon was more interested in public service. In 1909, he became secretary of state under his classmate, Theodore Roosevelt, who was now president of the United States. Bacon was appointed ambassador to France in 1910. As war clouds gathered over Europe, the Bacons became concerned about the French people. 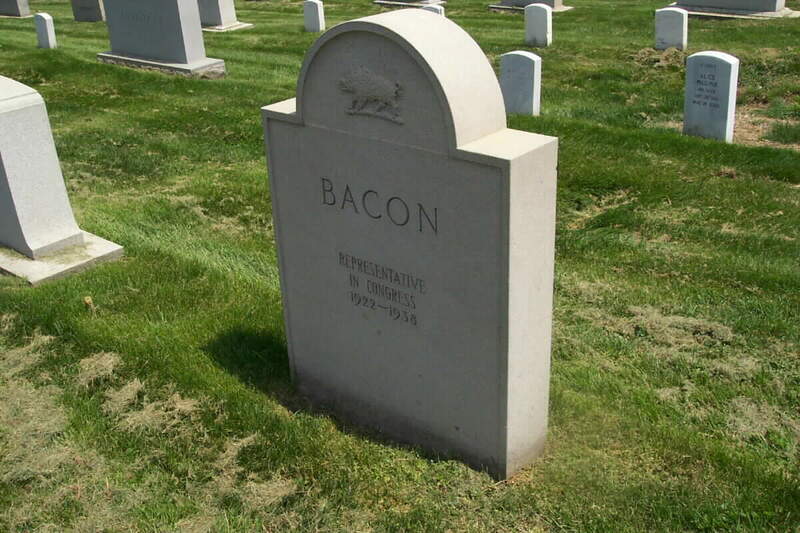 Bacon ran for the Senate from New York as an anti-isolationist in 1916, losing by a hair. When America entered the war, he volunteered as an Army officer, although he was in his late 50s. He personally outfitted a hospital train.